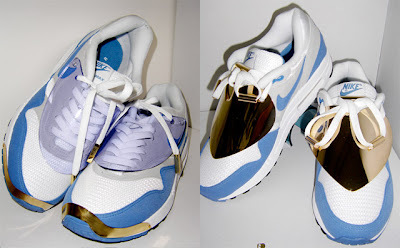 Sneaker Jewelry is a new and upcoming concept being marketed by Sabrina Dehoff of Berlin. She is part of the Nike IAM1 Journey in which she created sneaker jewelry for the Air Max 1 and Air Maxim. 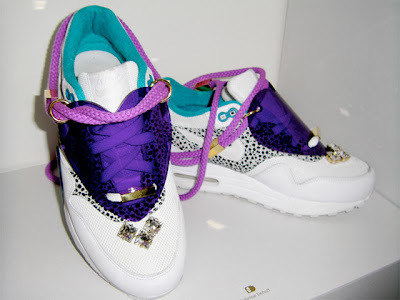 The collection is comprised of gold accessories and jeweled studs to adorn the lips, laces and sides of your sneakers. For the full article click here.